ZBA is the abbreviation of Zbrojovka Brno. Brno being the Czech city the company was located in. The Consul 2717 was a clone of the Tesla PMD 85.2 but had a very different design. The mainboard was located in the display case and the keyboard had a more professional look. The machine was only sold to Czech schools. 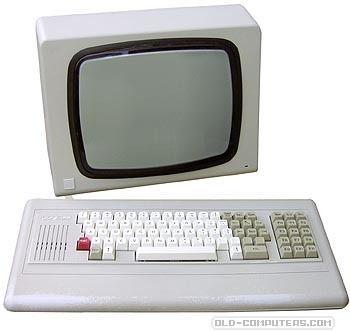 In its basic version it was used with the built-in BASIC-G interpreter which had some graphic commands. Programs could be stored through an external tape recorder. However, thanks to its dual expansion connectors, the 2717 could be connected to an external floppy drive unit and run the CP/M operating system, or to a network. The system could also boot from an external ROM chip. The machine was entirely built with East European components coming mainly from Tesla, but also from Russia. It had a short life, it was manufactured for less than one year. see more ZBA Consul 2717 Ebay auctions !